Beyond the perfect shampoo and head massage, an array of services can be performed at the Yume. Extended sessions in sheer comfort are the forté of Yume: the generous comfort-qualitites of the neckrest and the ergonomic cushioning of the seat make it so. 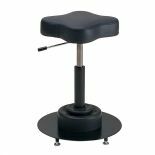 The motorised chair moves smoothly and shock-absorbers soften vertical adjustments, the basin and chair unite perfectly and the fine comfort details are pricelessly. 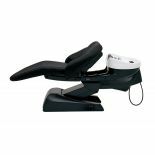 A Head Spa using Spa Mist II or Micro Mist is the best use of equipment, but the possibilities extend naturally to facials and hand treatments, even during the Head Spa. 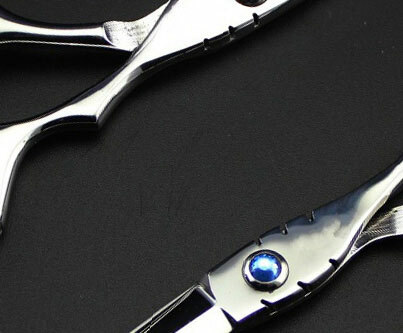 The Yume make a pleasure of the these vital client services and hails the joy of new salon revenues. 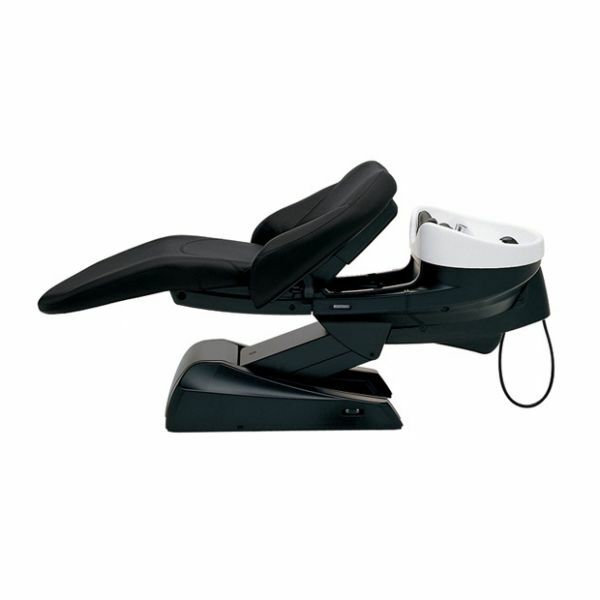 Features Include: Fully reclining and rotating chairs, adjustable and removable headrest on the Yume DX model only. 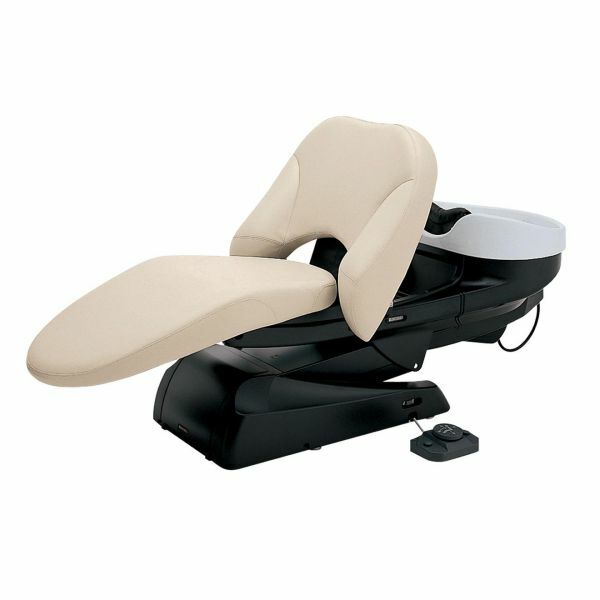 Full backwash recline, double gel-filled head pillows. Ceramic basin, hair-trap system, thermostatic control. Free-swivelling, ergonomic showerhead and retracting cord. Foot control with two pre-sets and wheel for chair movements.